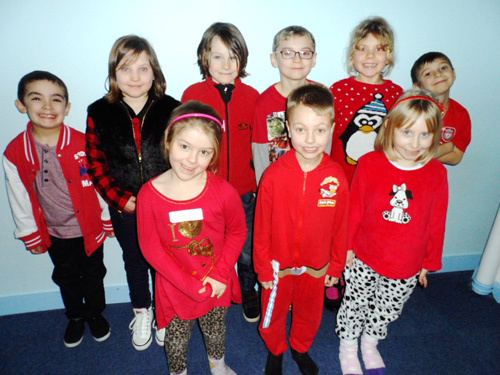 PUPILS at Barley Close Primary School wore red on Valentine’s Day to raise funds for victims of the flooding in Somerset. The school decided to support the fund to raise £150,000 for flood relief in the West in response to a suggestion from parents. Meanwhile, the Portcullis pub in Staple Hill has been collecting food and supplies to send down to Somerset. The response from people in the area wanting to help those not far from us who are in need has been strong.